Whew – this winter has been all over the place! Since we came back from our trip, we’ve seen temperatures in the negatives, swinging up to the 30’s, and back down to zero again. Not surprisingly, keto soup has been making frequent appearances at our house. And since we’ve been constantly craving more intense flavors after the bland food we had while away, this low carb buffalo chicken soup recipe has been a welcome addition. This is the second buffalo recipe that I’ve posted in a row, after last week’s buffalo cauliflower bites. It may have something to do with wanting to make lots of spicy, flavorful food in the weeks following our trip. I love traveling and try to research the best restaurants when we do. But, when it comes to an all-inclusive resort, the choices are limited. So now that we are back, bring on the spicy food! There’s another reason I couldn’t wait for this low carb buffalo chicken soup recipe. It was another opportunity to use my Instant Pot! I’ve been falling more and more in love with it as time goes on. It was about time to make a keto pressure cooker chicken soup in it. I’ll be the first to admit that the Instant Pot takes some time to get used to. With a slow cooker, the oven, or stove, you can see how things are going in the process. Unlike every other cooking method, the main issue with a pressure cooker is that you can’t “check on” your food to see if it’s done. Fortunately, the Instant Pot makes up for that slight downside. It just takes some practice – or an arsenal of great recipes! The huge advantage is that you can make things a lot faster, and it tends to be less cleanup, too. Win, win! 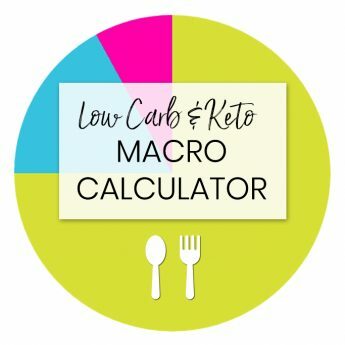 If you’re looking for more low carb Instant Pot recipes, try my easy shredded chicken, low carb paleo chili, keto chicken and dumplings, and the crustless quiche from my friend’s cookbook. 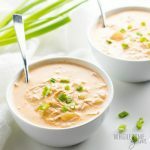 In fact, you’re going to need the shredded chicken for the creamy buffalo chicken soup recipe I’m sharing today. You can saute any ingredients that need it, right in Instant Pot. Then, simmer the soup in the same place under pressure. Yay for less dishes to wash! The best part is, any soup will cook a lot faster under pressure. Cooking low carb soup in the Instant Pot takes just minutes, yet it tastes like it’s been slowly simmering for hours. 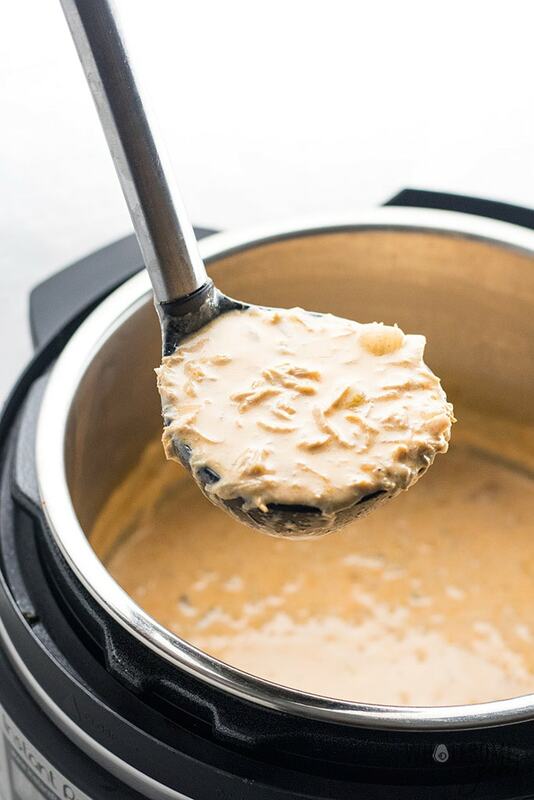 The process for how to make buffalo chicken soup in a pressure cooker is very straightforward. The Instant Pot does all the work. Start by sauteing the onion, celery, and garlic in a little olive oil, at the bottom of the Instant Pot. Add the shredded chicken, broth, and buffalo sauce. You can use any kind of broth you like, but I prefer chicken bone broth. 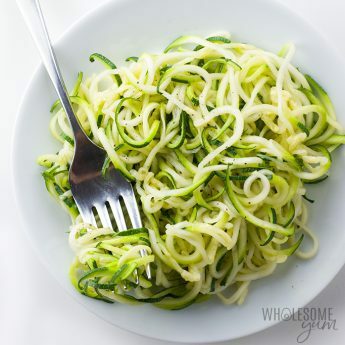 It’s extra flavorful and has loads of benefits! Now, close the lid and adjust the timer. Believe it or not, your Instant Pot chicken soup needs just five minutes to cook once it reaches pressure. Isn’t that amazing? After the low carb buffalo chicken soup is done cooking, wait five more minutes for natural release. Ladle a little bit of broth into a blender, add some softened cream cheese, and blend until smooth. Once it’s uniform, you can add it to the soup. Don’t make the mistake I first made and add the cream cheese directly to the buffalo chicken soup. It will form chunks and not melt. No good! It works much better to blend the cream cheese with a little liquid first, then add it in. Make sure it’s softened and not too cold, or it won’t blend either. The last step is to add the half and half, or heavy cream. It’s up to you which one you want to use, but don’t skip it. The soup is very spicy without that part – even for me, and I love spicy food. The cream or half and half mellows it out. I opted for half and half to lighten it up a bit, and the carbs per serving are still not too high. It comes out to 3.6 grams of carbs per serving. 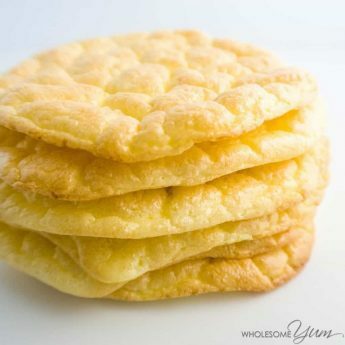 But, if you prefer to lower the carbs further, at the expense of higher calories, you definitely can! It’s 2.6 grams of carbs per serving if you use the cream. Of course, it tastes more creamy if you use heavy cream, too. Either way is delicious, though. 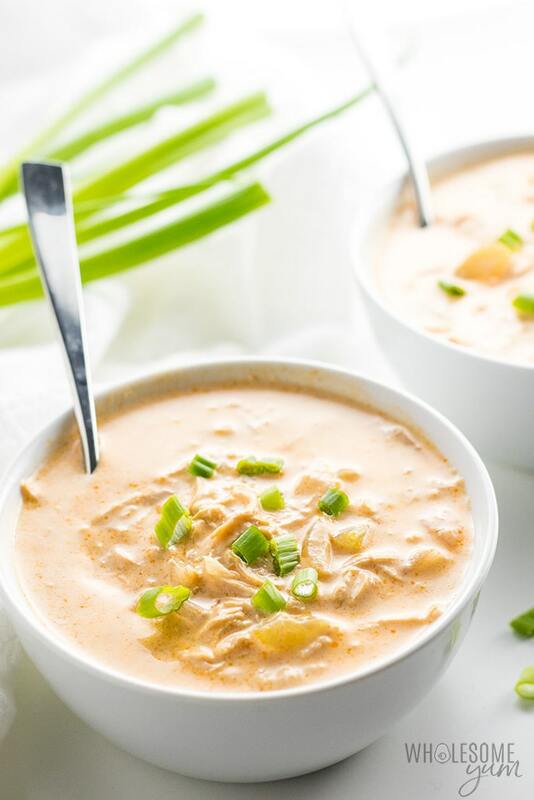 If spicy food is your thing, you won’t regret adding low carb buffalo chicken soup to your menu. Crock Pot – It’s simple and inexpensive, but I love it for all my low carb slow cooker recipes! 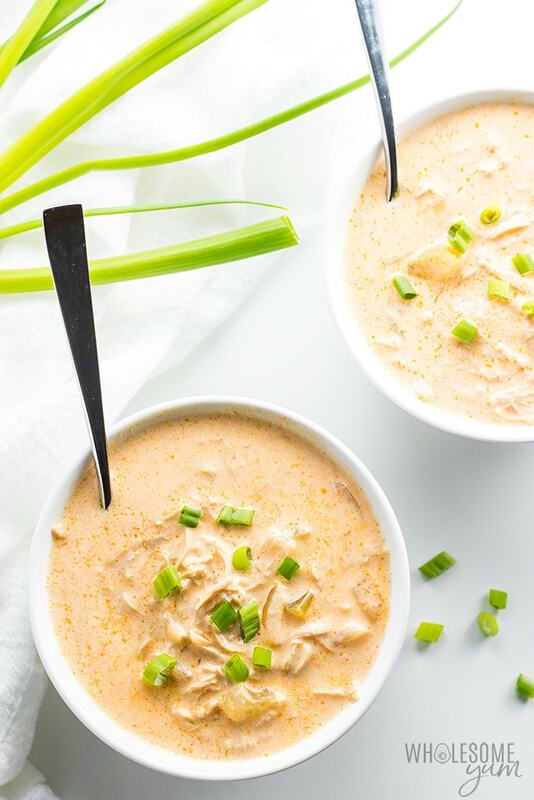 Instant Pot – Makes a much quicker low carb buffalo chicken soup. Broccoli Cheese Soup – only 5 ingredients, and it’s the most popular soup on Wholesome Yum! Mexican Caldo de Pollo Soup – both low carb and dairy-free! Need more? 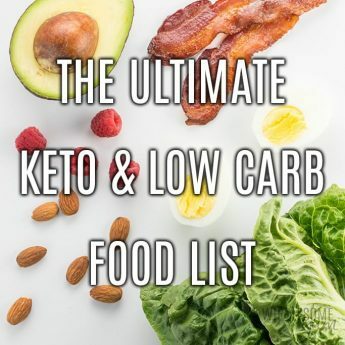 Browse all the low carb soup recipes here! Press the Saute button on the Instant Pot. Add the oil, chopped onion, and celery. Cook for about 5-10 minutes, stirring occasionally, until onions are translucent and start to brown. Add garlic. Saute for about a minute, until fragrant. Press the Off button. Add the shredded chicken, broth, and buffalo sauce. Cover and seal the Instant Pot. Press the Soup button and adjust time to 5 minutes. After cooking is complete, let pressure release naturally for 5 minutes, then switch to quick release and open the lid. Pour the mixture back into the Instant Pot. Add the half & half or heavy cream. Stir until smooth. Heat the oil in a pan over medium heat. Add the chopped onion, and celery. Cook for about 5-10 minutes, stirring occasionally, until onions are translucent and start to brown. Add garlic. Saute for about a minute, until fragrant. Place the shredded chicken, broth, and buffalo sauce to the slow cooker. Add all the ingredients from the pan and stir. Pour the mixture back into the slow cooker. Add the half & half or heavy cream. Stir until smooth. Click or tap on the image below to play the video. It's the easiest way to learn how to make Buffalo Chicken Soup! If cooking this soup in a crockpot, you can add the cream cheese as it cooks. 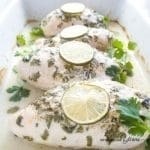 In the slow cooker it melts down easily over time and does not clump! Absolutely delicious!! I will definitely make this one again. I add more buffalo to my bowl, but no other changes! I used raw chicken, browned it first then carried on with the recipe. 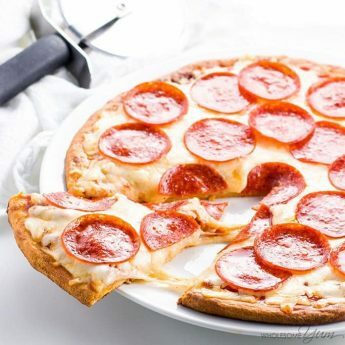 Cooked it on the stove top Absolutely yummy and a great Keto recipe. This was really good. I like to make a low carb dish I can take to lunch for the week and this worked out well. I used a cut up a rotisserie chicken. Next time I may use 1 1/2 chickens as I like soups a bit chunkier. I also added some blue cheese crumbles to it after I heated it up each day. 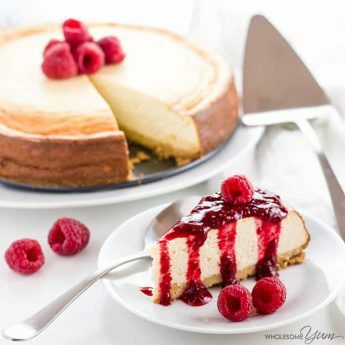 I finally have an Instant Pot coming for Christmas and this will be my first recipe to try! Do you use buffalo sauce or hot sauce? You could use either one, but use buffalo sauce for more traditional buffalo chicken soup. Hoping to make this tonight but actually want to throw the chicken breasts in the pot whole and cook with the soup, then shred. It’s easier and I think it will give it more flavor. With that in mind, how should I modify this recipe? I assume I’ll need to use the Pressure Cook/Manual button and add 5-7 minutes?? Appreciate the help! Hi Melissa, I haven’t tried that, but it sounds like that should work. Let me know how it goes! It turned out great! We did end up using the whole 8oz package of cream cheese and then added 2-3 tbsp extra of the buffalo sauce, some spicy pepper sauce, and black pepper to kick it up a notch. Otherwise, it was great. We also made your buffalo cauliflower, which was amazing! Thanks for sharing your tips with us, Melissa! Made this tonight – so good and so easy!! I used leftover rotisserie chicken and red/green pepper in place of the celery. Will definitely make again. I am so happy you liked it, Lynda! Have a great day! Bought an Instant Pot just for this recipe, and I’m in love! Your shredded chicken recipe was so easy! Although it isn’t specified in the recipe, I think it’s better to mince the garlic ahead of time, rather than directly in with the onion & celery– I found that mine sautéed a little too quickly in between taking each clove out of my garlic press. Instead of a blender/food processor, I just diced my cream cheese into a bowl, added the broth, and whisked it together until smooth. Worked fine for me! I am so glad you liked the IP! Thanks for stopping by, Beth! I was searching for a low carb chicken soup recipe and came across this. I didn’t have cream cheese or HWC, but I added a low carb, no added sugar Blue Cheese dressing instead. This soup is amazing and easy. I will be making it again for sure! I am so happy that you liked the soup, Kris! Thanks for stopping by! How much heavy cream or half and half? Hi Tina, The amounts are all on the recipe card. It’s 1/2 cup. Wow! Wonderful soup recipe, love it so much. Thanks for sharing! I love to hear that, Olivia! Thank you! Family started Keto WOE a couple of months ago. This is one of our new favorite dinners. I use your recipe, but I’ve added caramelized onions and sometimes bell peppers. Thank you! Thank you, Julie! Caramelized onions and bell peppers sound amazing in this. Can you make this, or have you tried making this, with almond milk or another non-dairy milk option? Hi Heidi, I haven’t tried it but it would probably work. The taste will be slightly different depending on what you use. The flavor will be different and it’s sometimes runnier. I’ve found that cashew milk is thicker but have yet to cook with it. Can you use frozen chicken breast then shred later when using the instant pot? Hi Katie, Yes, you can. You just need to cook and shred it first, then use it in the soup. 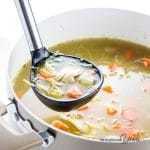 Do you have a way that you shred your chicken before putting it in the pressure cooker? Are you cooking it first? 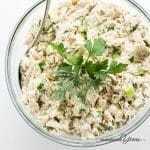 Hi Debbie, here is how I make the shredded chicken in the pressure cooker before using it in this recipe. Do you have a recipe for or can you buy Buffalo Sauce that does NOT contain sugar or other sweeteners? Hi there, Store bought buffalo sauce doesn’t have sugar (at least I have never seen one that does). Check the label to be sure. Frank’s Red Hot is zero carbs – no sugar. 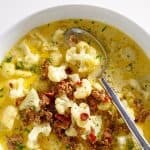 I would love to make this soup, but don’t have an Instant Pot. What changes would I need to make to cook it in a slow cooker? Hi Alice, I added slow cooker instructions to the recipe card. Hi! This is more of a question. Can this be made in a slow-cooker? I guess I’m still living in the 80’s. Hi Denise, Yes, you can! I added slow cooker instructions to the recipe card. Thank you, Deb! You should be able to make this soup in either one of those. I added slow cooker instructions to the recipe card. Can you do this without an Instant Pot? Hi Becca, I added slow cooker instructions to the recipe card. Can you make this another way if you don’t have an Instant Pot? Hi Kathy, I added slow cooker instructions to the recipe card.